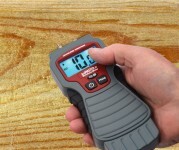 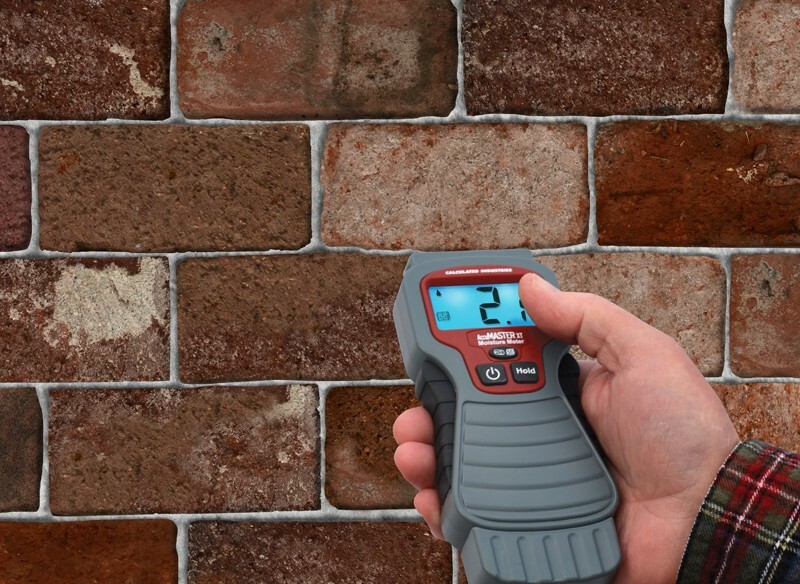 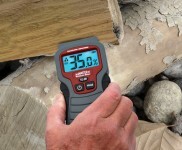 The AccuMASTER XT Moisture Meter is ideal for measuring moisture content in firewood, lumber, brick, concrete, drywall, plaster and carpet. Find moisture before it becomes a costly problem. 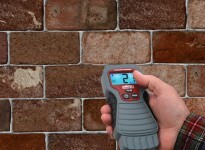 Check walls before painting, staining or sealing and check patios before treating. 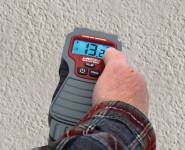 Also, locate water leaks in roofs and floors. 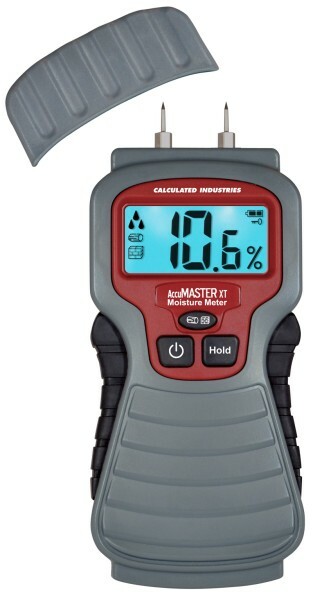 Easy to use - just pop off the protective cover, then firmly push the (replaceable) sharp, stainless steel pins into the material you want to measure. 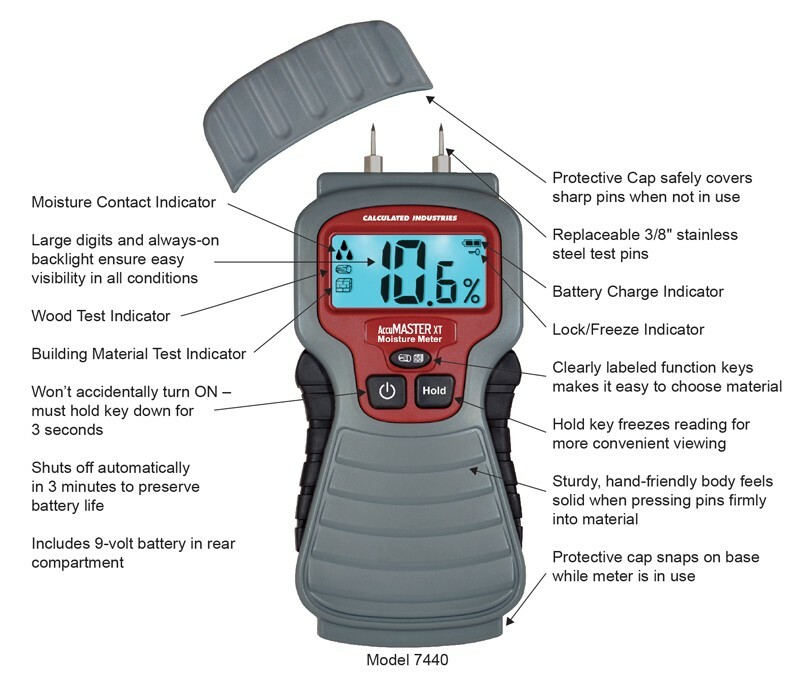 Large, easy-to-read digits and clearly-designed icons tell you immediately if the Moisture Content is High, Medium or Low. 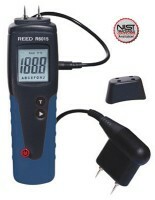 Plus, there are also audible High, Medium, Low alerts so you will be able to hear the level even if you are in a dark or awkward space where you can't see the screen.